Hope everyone had a Happy Thanksgiving holiday! So, today I begin my posts of Christmas records. I've already got the six albums picked out for this year, plus I'm currently working on my Cool Yule Tunes 2009 compilation, which I will post on the Sunday before Christmas. At the bottom of this post, I've included some pictures of my decorated vintage aluminum Christmas tree, which I just put up yesterday. I also switched out the framed record albums for some of my Christmas albums. You'll see in the pictures just a few of my Christmas albums, some of which I've posted on here, and some which I haven't posted yet. My vintage aluminum tree with color wheel. The albums hanging in the entry way. 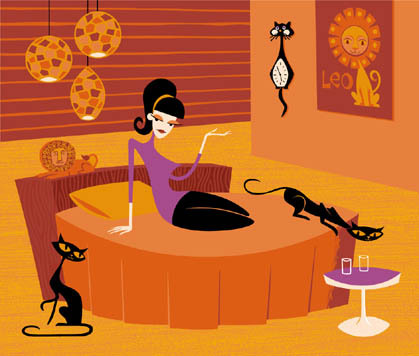 These are hanging on the living room wall (that's my cat's tail you see). These are hanging in my den. I had the lights on and those are reflected. Somewhere between outer space and the inner man stands Walter Brennan. There's a bit of earth and heaven in the way he reaches into all of us with a sprightly tug at the heart, a friendly chuckle or the shedding of a warm tear now and then. ... Walter Brennan is all of us put together as he tells us many things that we already know, but perhaps have neglected to ponder on for some time. Today is the centennial celebration of Johnny Mercer's birth. 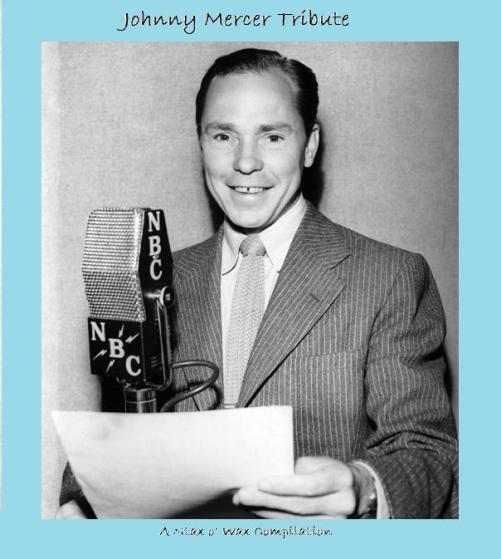 Johnny Mercer (1909 - 1976) was a singer and songwriter. As a songwriter, he was mostly known as a lyricist but he also wrote music. He wrote over 1000 songs, many of which are in the Great American Songbook. He received nineteen Academy Award nominations, and won four. He also recorded many of his songs, as well as songs written by others. I put together this compilation of thirty-four songs in his honor and hope you enjoy them as much as I. He sings five of the songs on this compilation, three of which he didn't write (marked with ^). He wrote the lyrics for all the other songs that I've included, and also wrote the music for five of them (marked with *). The last song I've included was recorded after his death. Johnny's widow gave some unfinished lyrics to Barry Manilow, and Barry then wrote the music for "When October Goes." Enjoy! Here's another of my Pat Boone albums, a gem I rescued from the HPB bargain bin. 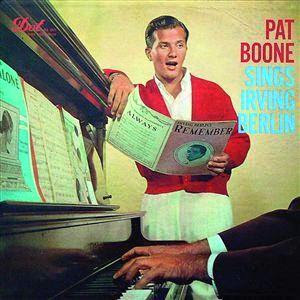 I love Irving Berlin songs and I love Pat Boone's smooth voice, so the combination is absolutely wonderful. There's even an endorsement on the back of the album by Irving Berlin himself, "Pat Boone sings these ballads the way I like to hear them sung." What better praise than from the composer? This is a request. It's one of the first albums I digitized when I first learned how, so it's a lower bitrate than my usual posts. I also usually don't post the Herb Alpert albums (I have the first eleven) because most of them are available on CD, but I wanted to go ahead and fill the request I received. 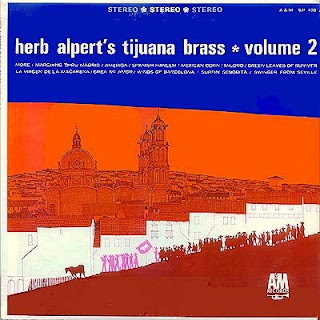 Anyway, this is the second album by Herb Alpert's Tijuana Brass (the way they were first called before changing to Herb Alpert and the Tijuana Brass). There are some very familiar tunes on it and it's quite enjoyable. I don't much care for the album cover though - give me the "Whipped Cream" cover any day! Enjoy!